Home › Title insurance › E-RECORDING PROVIDES BETTER CUSTOMER SERVICE. E-RECORDING PROVIDES BETTER CUSTOMER SERVICE. Just like the general consumer, First International Title is all about trying to make real estate closings easier and more efficient. To that end, we have been e-recording across the board at all of our 25 branch offices throughout Florida. It has fast become an industry standard. By definition, e-recording is the process of electronically recording title by submitting, receiving and processing documents for recording via the internet, instead of sending them to the county clerk’s or recorder’s office by express mail or courier service. According to our e-recording vendor, Simplifile, we have quickly become one of the largest document submitters in Florida and we’re often the first company in the state to e-record a document with a new e-recording county. We’re proud of that fact. We can provide a faster recording method and it’s more cost-effective for our customers. E-recorded documents also help cut down on overall paper waste, mailing costs and the risk of lost documents. Recording fees and payments can now be processed securely thereby eliminating the need to write and mail checks. It also reduces payment errors that can delay recording. Apparently, e-recording seems to be catching on around the country. The Property Records Industry Association (PRIA) recently noted that a new milestone had been reached in the number of recording jurisdictions that are electronically recording documents. 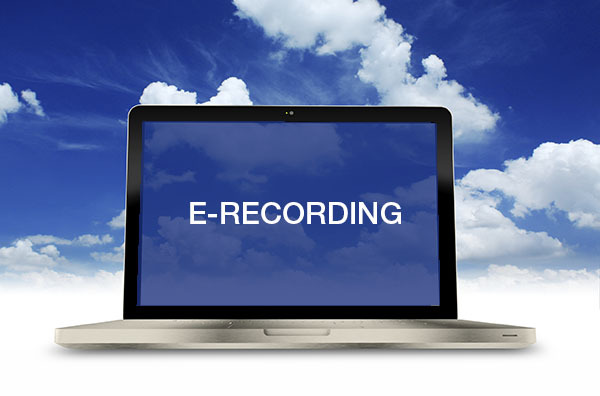 As of November 1, 2014, over 1,200 recording jurisdictions are e-recording enabled, which represents one-third of the nation’s 3,600 recording jurisdictions. Now more than 68 percent of the U.S. population resides in recording jurisdictions that offer electronic recording of documents. PRIA’s tracking system indicated it took from the late 1990’s until August of 2006 to reach the 200 e-recording counties mark. Since 2006, an additional 1,000 counties have stepped up to enable the electronic recordation of documents. We’re not sure about the future national growth of e-recording, but we know we’re already on board and that’s what counts for you – our customer.